Aahhhhh, whatristhat? 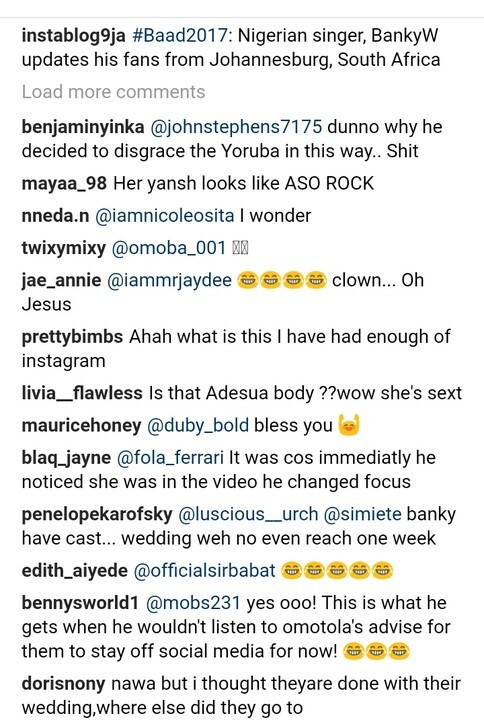 Mogbe, Banky Willington you are in trouble. How could you let that happen? 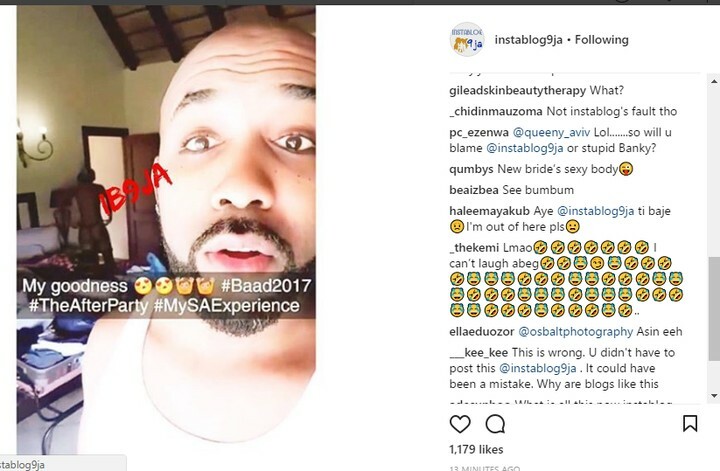 On the cause of taken a selfie and updating his fans from South Africa, singer Banky W inadvertently took an unclad pictures of his new wife, Adesua and posted it on the Instagram.